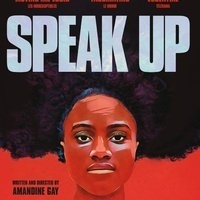 Please join the Department of French and Italian for a very special screening of filmmaker Amandine Gay's ground breaking documentary, "Speak Up" / "Ouvrir la voix," followed by a discussion with the filmmaker herself. Amandine Gay is a French filmmaker, Afrofeminist, and scholar. Gay made her directorial début in 2014 with this film, a self-funded documentary featuring Black European women who speak on the intersection of gender and race in contemporary France, and the need for self-authored narratives.